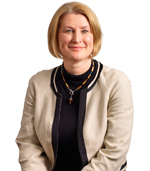 Management - Perpetual Energy Inc.
Ms. Riddell Rose is the President and Chief Executive Officer of Perpetual and predecessor Paramount Energy Trust since inception in 2002. Prior thereto she was the Chief Operating Officer for Paramount Resources Ltd. and prior thereto a geological engineer with Shell Canada Limited. Ms. Riddell Rose graduated from Queen's University at Kingston, Ontario in 1986 with a Bachelor of Applied Science in Geological Engineering. She is a member of the Association of Professional Engineers, Geologists and Geophysicists of Alberta, the Canadian Society of Petroleum Geologists and the American Association of Petroleum Geologists and serves as a governor for the Canadian Association of Petroleum Producers. Mr. Schweitzer joined Perpetual Energy Inc. in May 2017 and has over 25 years of executive finance experience in oil and gas, mining and other industry sectors. Previously with Grizzly Oil Sands, CE Franklin, Superior Plus, Norcen Energy and Canadian Hunter Exploration. 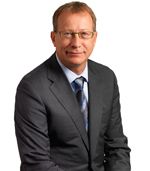 Mr. Green has close to 30 years of experience in the Canadian oil and natural gas industry. 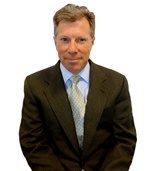 His previous industry experience includes Vice President of Production Operations & Administration, Manager, Acquisitions and Divestitures with Paramount Energy Trust and Exploitation Manager and Production Manager at Anadarko Canada Corp. Mr. Green has held additional technical and supervisory positions in other organizations including Norcen and Union Pacific Resources. 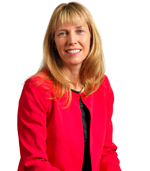 Ms. McKean has close to 30 years of experience in the Canadian oil and natural gas industry. Ms. McKean has been with Perpetual and the predecessor Paramount Energy Trust since 2004 in the positions of Eastern District Manager and consulting engineer. Her previous industry technical experience includes reservoir engineering positions at Berkeley Petroleum and Anadarko Canada Corp, and 10 years at Shell Canada working as a development geologist and as a reservoir engineer. 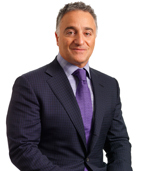 Mr. Rapini joined Perpetual Energy Inc. in December 2005 and has close to 30 years of gas marketing and trading experience in the natural gas industry. His previous positions include Vice President of Trade at Sempra Energy Trading, Senior Trader at Mirant Energy Marketing Ltd. and Senior Trader at Duke Energy Marketing.